Illustrating the high standards that the Hemas hospitals multi-chain is renowned for, Hemas Southern Hospital Laboratory became the only ISO 15189:2012 accredited laboratory in the Southern Province. The ISO 15189:2012 standard is known as the ‘Gold Standard’ as it denotes the paramount level of safety, reliability and efficiency of a clinical laboratory. Having gained the accreditation for more than 100 medical investigations to date, Hemas Southern Hospital Laboratory has proved its superior edge over the rest of the healthcare providers in the region. The ISO1589 accreditation will promote consistency in complying with international and national medical laboratory laws and regulations as well as modern practices. Consequently, this will enhance Hemas Southern Hospital Laboratory’s ability to provide exceptional diagnostic investigations through adhering to modern laboratory practices. Hemas Hospital Laboratory chain was the first to introduce and implement a fully automated, diagnostic facility in Sri Lanka which uses bar-coded, automated and interfaced system. Hemas Hospitals pioneered reaching local communities with expert healthcare facilities under the theme of ‘Expert Care, Close at Hand’. Hemas Hospitals is a subsidiary of Hemas Holdings, one of Sri Lanka’s leading conglomerates with a focus on four key sectors including FMCG, healthcare, transportation and leisure. The diversified conglomerate with over 20 active subsidiaries is organised into five key sectors- FMCG, Healthcare, Transportation, Leisure and Strategic Investments. The group which commenced operations in 1948 is listed in the Colombo Stock Exchange since 2003. 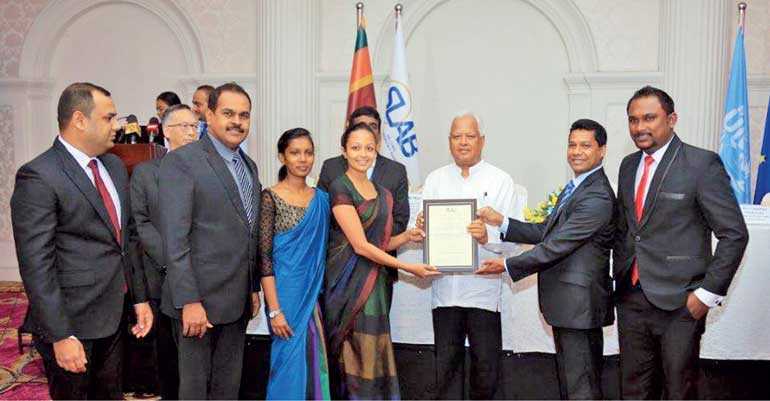 Hemas Hospitals is the first hospital chain in Sri Lanka to be recognised by the prestigious Accreditation body, Australian Council for Healthcare Standards International.